Bilberry is an herbal plant that is commonly found in Europe, Great Britain and a few Asian countries. It has various edible parts that act as powerful natural medicine and are used for treating various physical ailments. How to Buy Bilberry Extract? It belongs to the Heather family known as Ericaceae. It is a rhizomatous dwarf shrub that is perennial in nature. The plant typically grows anywhere between 4 to 16 inches (10 to 40 cm). It rises with an erect stem and is woody in nature with bristly young stems and round old stems. 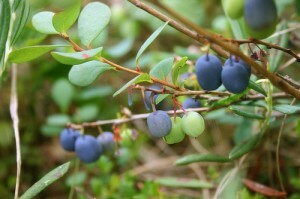 Bilberry has been grown in Europe since a long time ago. 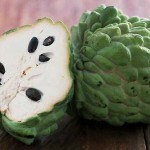 The fruit has been used as a traditional European medicine for approximately a thousand years. Europeans have been using its extract for many years. It can also be found in Northern America. Bilberry colour is generally red. It usually is a darker shade of red with a slight hint of purple. Consuming the fruit leaves a red or purple mark on the fingers and mouth. The plant generally grows in fell moors, swamps and dry and grove-like forest heaths. It grows in similar environments in Asia, Great Britain and Europe. The flowers of Bilberry plant usually come out during May-July. They are generally pitcher shaped and reddish, yellowish or greenish in appearance or a combination of all three colors. It has a very shallow five-lobed calyx, four or eight stamens and a single carpel. The flowers grow as solitary on axils and are about 4-6 cm long. The plant flowers in early spring just as its leaves are spreading out. Bilberry leaves have short stalks that wither during winter. These are bright-green in color and have a tapered shape. The leaves feel leathery when touched. They are rosy during the initial days, then turn yellowish-green and turn red in autumn with a very ornamental design. These leaves are used to adulterate tea. 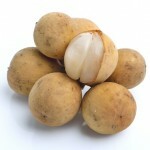 The fruit of this plant is spherical in shape and is approximately 6-8 mm broad. It is dark blue or black in color externally though dark red inside and has a waxy or shiny appearance. It is sometimes off-white in color. 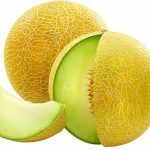 The fruit can be eaten raw or consumed as a jam, jelly or in a syrupy form. Bilberry extract is the solution derived from the Bilberry plant. It contains edible berries that are quite similar to blueberries. Over the years, Bilberry fruit extract has been used to cure many ailments like Chronic Venous Insufficiency. Consumption of this extract makes the walls of blood vessels stronger and improves blood circulation through the small vessels that are concerned with the health of eyes. Bilberry extracts also helps strengthen collagen fibers which are necessary for building up the connective tissue. Bilberry extract is also taken as a food supplement to treat diseases that impact vision. Consuming the extract as food supplement helps improve vision, especially night vision. It helps prevent cataracts, macular degeneration and chronic eye diseases. The extract also helps reduce the occurrence of varicose veins. 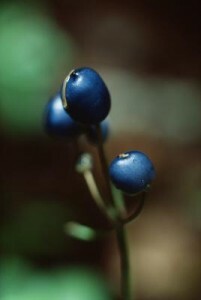 Bilberry extract can be bought in various forms such as capsules, tea, dried herb or a liquid. 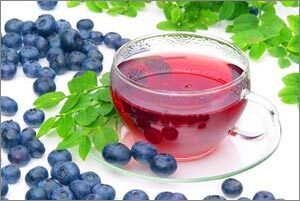 You may buy extracts that contain between 23-37 % Bilberry Anthocyanosides. Bilberry leaf is often used as a tea. Bilberry tea is prepared by soaking up 1-2 teaspoons of finely chopped, dried leaf for 5-10 minutes in 150 ml of boiling water and then straining the liquid. There is a lot of benefit in using Bilberry for diabetes cure. The leaves of this plant have been traditionally used to control blood sugar and reduce hyperglycemia or presence of high glucose in blood. This disease occurs when valves in veins that transport blood from the legs to the heart are damaged. Bilberry has been found to improve blood circulation and is hence used as a natural cure for the ailment. For users of Bilberry vision problems can get cured naturally. The fruits of this plant are rich in Anthocyanosides which can cure Retinopathy, cataracts, nighttime vision and macular degeneration. Atherosclerosis is a coronary artery disease that involves deposition of fats or atheromas inside the arterial walls. This makes the arteries narrow and leads to physical problems. Bilberry contains Anthocyanosides that can improve blood circulation, stop the oxidation of LDL cholesterol and strengthen the blood vessels. The plant reduces inflammation in the intestine and helps cure Diarrhea in a natural way. However, drinking Bilberry juice in excessive amounts can lead to Diarrhea. Bilberry fruits contain a substance known as Tannin that acts as both an astringent and an anti-inflammatory substance. This makes the fruit appropriate to use as a cure for skin wounds. The side effects of Bilberry can be quite serious. The plant contains anti-platelet properties which may interfere with nonsteroidal anti-inflammatory drugs (NSAIDs), especially Aspirin, Aleve, Advil and Motrin. When taken in high amounts, the herb can increase level of toxicity in the body thus poisoning the physical system and even causing death in extreme cases. In rare cases, consumption of the herb can lead to an allergic reaction in the body. There may be allergic symptoms like hives, inflammation of the lips, tongue and face, breathing difficulties and tightness in the throat. Excessive consumption of Bilberries can lower blood sugar too much thus causing Hypoglycemia or low glucose level in bloodstream. High doses of this plant can also give rise to other side effects like skin rashes, drowsiness and minor digestive distress. 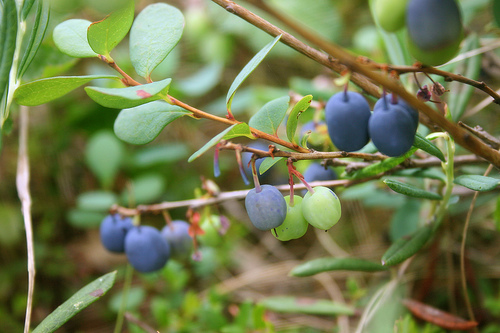 Baptist Health Systems recommends that Bilberry extract dosage should always be between 120 and 240 mg preferably twice a day. Bilberry dosage that is greater than 480 mg has been found to be toxic. Bilberry Lutein nutritional supplements help decrease the onset of age associated with macular degeneration. Lutein is an essential yellow carotenoid material found in plants, egg yolks and animal fats. It acts as an antioxidant that protects cells against the degenerative consequences of free radicals. Lutein is not manufactured in the body and needs to be imported from external sources. Lutein Bilberry supplements provides the age-fighting capabilities to the body. Bilberry has visible medicinal properties which make it apt to be called an herb. It has tonic, antiseptic, astringent, antioxidant and anti-inflammatory properties. The herb can be used to combat cell damage, correct vision problems and for many other physical discomforts. The fruit of this plant are very juicy which makes it perfect to be used in making jams. The seeds of it are also very tiny which helps to form jams of this fruit. The jam can be made by boiling the fruit with sugar and oil and straining the juice of the fruit through thick muslin cloth. Extended release Bilberry capsules are sources of increased vitality and potency. Bilberry 100 mg tablets are used in countries like Scandinavia, Holland and Germany. The tablets contain about 25% Anthocyanosides of Bilberries along with other ingredients like water, Glycerin, Gelatin and Silica. These boost the natural system of the body as well as aid in circulatory and immune functions. This is made up of a combination of Bilberries along with other herbs like Eyebright, Ginkgo Leaf and Cayenne Pepper that improve blood circulation to the eyes. This increased circulation helps cleanse the tissues and repair damaged vessels thus serving to improve vision. The herb is a rich storehouse of vitamins A and C. It has a plant compound know as Flavonoid that acts as an antioxidant. It increases the processing of Vitamin C, a powerful antioxidant. The anti-inflammatory and anti-infective properties of the vitamins in the herb make it perfectly suitable to be used as a medicine. Macular Degeneration is an eye disease that results from degeneration of the cells of the Macula Lutea, a small yellowish central retinal area that plays a role in having clear detailed vision. It leads to blurred vision in patients. If left untreated, it may even cause blindness. Age-related macular degeneration (AMD) or Macular Degeneration associated with advancing age increases visual impairment in many older patients. Bilberry has strong antioxidant properties and contains Anthocyanosides which can cure the retinal epithelium of the eye. The retinal epithelium is the site of Macular Degeneration in humans. 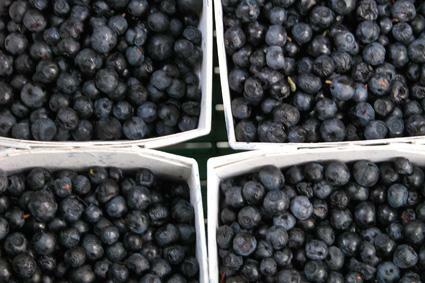 Want to know how Bilberries look like? Check out these bilberry photos for a clue. These useful bilberry images will give you a visual idea about the physical appearance of the herb. 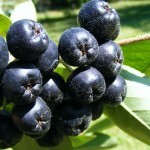 According to Thomas Hardy’s famous 1878 novel “The Return of the Native”, Bilberries were known as “Black-hearts” in south-west England of the 19th century.